The incredible story of a spy who parachuted into Nazi-occupied Europe disguised as a nun has been revealed after she died aged 94. 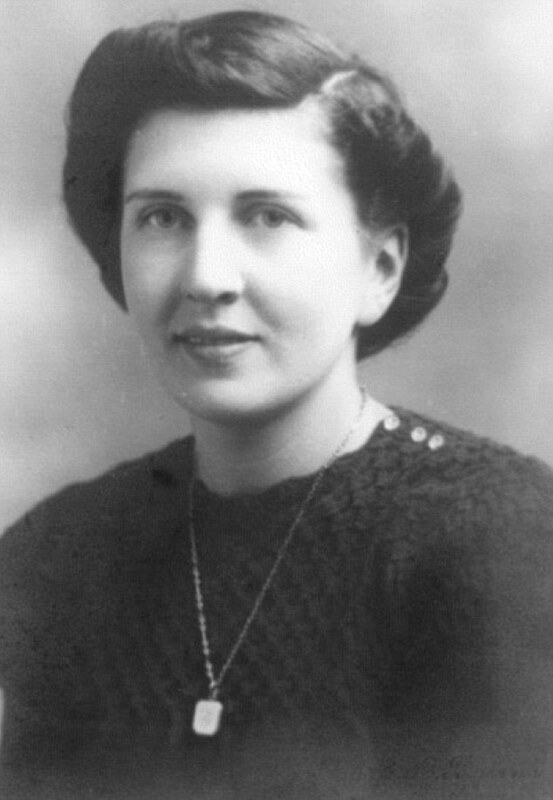 Just before her death Margaret Spencer wrote of her days as a Second World War spy, being shot in the back by a German sniper and caught by the Gestapo. She had been silent for 50 years after signing the Official Secrets Act - and her account was a shock to all but her closest friends and family in her village near Eastbourne, East Sussex. She finally revealed her life story in memoirs which her family handed to her local newspaper, the Eastbourne Herald, after her death last month. Mrs Spencer said she had been recruited at the start of the war, given a Colt 45 and instructed to round up German spies and Communists along the south coast - all while working as a nurse. 'During all these activities my husband was in complete ignorance,' she wrote. 'He just thought I was busy at the hospital. During one of her daring missions she told how she was captured by the brutal Nazi secret police, the Gestapo. Her published memoirs do not reveal how she escaped - but she lived to tell the tale. Margaret Spencer revealed how during one of her daring missions she parachuted behind enemy lines dressed as a nun. In another she was shot in the back by the feared secret police, the Gestapo. Often referred to as MI6, the Special Intelligence Service (SIS) sabotaged enemy operations throughout the war. Its most famous unit - formerly called Section D - was set up to conduct paramilitary missions overseas. In 1940 Section D became a separate organisation, the Special Operations Executive, and Winston Churchill ordered its agents to 'set Europe ablaze'. Some agents sabotaged the enemy by blowing up trains, bridges or factories. Others tried to subvert occupying forces by encouraging revolt or guerrilla warfare. Although many spies had the famous 'tap on the shoulder' at Oxford or Cambridge, agents also included a former chef, an electrician, journalists and a car dealer's daughter. In another mission, she parachuted behind enemy lines disguised as a nun. After the war she continued working in the intelligence services, including a mission to Russia, before leaving to work as a community nurse and midwife. All the while, she said, she still had the bullet from a German sniper lodged near her spine. But she was only allowed to reveal her secrets in 1995 - and kept her gun until 1977. Mrs Spencer lived in Eastbourne with her husband Len before moving to the nearby village of Westham, where she was choirmaster at St Mary's Church. She was also a keen member of the WI and a local history group. 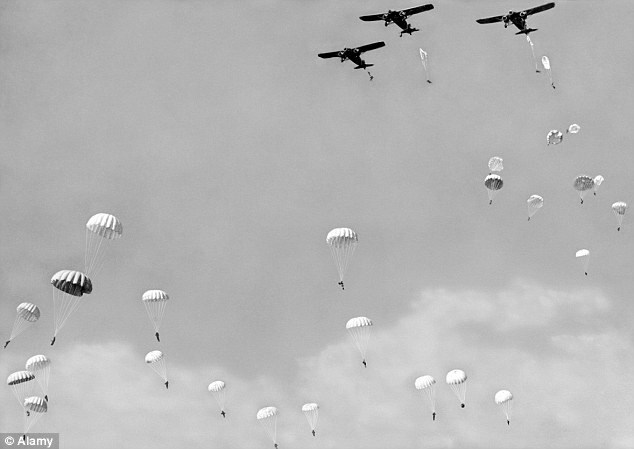 Her daughter Diana Milne, 68, who also lives in Eastbourne, told MailOnline her mother had been involved in several parachute drops - but remained completely humble. 'She was far more proud of what she did in the village than what she did during the war,' she said. 'She was the kingpin of the village and lived in and around Eastbourne all her life. 'A lot of people had contacted the local paper because my mum had given a few talks locally, and there were so many different stories that I decided to let people read what she wrote. 'But she was very private and only told her story within the village. She had an opportunity to publish - someone who taught history at a university wanted to write it - and she said no. Her daughter added: 'The parachuting was normal for her and I know the details of the mission when she dressed as a nun, but she would have wanted that kept private. Friend Jill Parsons said: 'She was well known in the community and very popular. She came to our local group a few years ago and told us about her time in the war. Wow quite the story and hero. 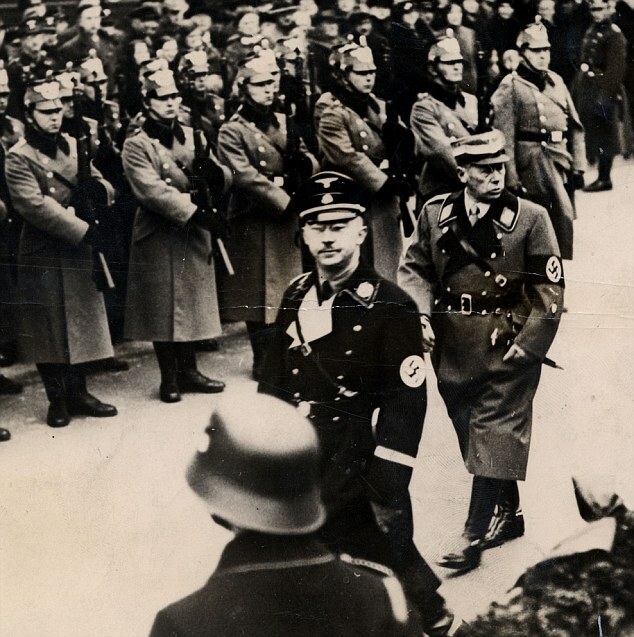 I can only image what captured by the Gestapo led to? Usually torture and abuse, she's lucky to have survived the ordeal. Rest in Peace ,you did your duty and now lay among other hero's. Probably Posted Before But Worth Remembering.